Other bishops have been similarly blessed by women and women’s groups. Bishop Joaquina Nhanala, episcopal leader of Mozambique and South Africa, received support from the Women’s Fellowship of the Mozambique Annual Conference for Theological Studies. 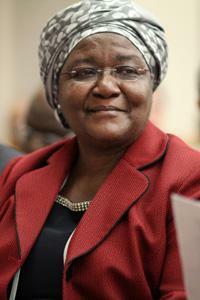 She became the first woman elected to the episcopacy from the continent of Africa. But first, scholarships from United Methodist Women helped her follow her call to ordained ministry and prepare for the leadership she is now providing to the church. Bishop Rosemarie Wenner, recently retired from leading the UMC in Germany, was the only female UM pastor in her country when she considered going into ministry. 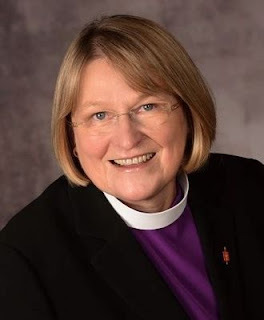 She became the first women outside the U.S. elected to the episcopacy in 2005. Women inspired and supported her along her path of ministry as well. United Methodist Women continued to change my own life. Later when I served Christ UMC of the Deaf, a deaf congregation in Baltimore, Md., the UM Women’s Division sent our entire UMW unit to the Women’s Assembly. The women were inspired by the vision for mission with women and children and youth that they had never experienced before. They were asked to sign a song on stage in front of 10,000 women, and the song was “God of the Sparrow, God of the Whale.” I remember one of the lyrics was “God of the ages, God near at hand, God of the loving heart.” I felt the “loving heart” of God through the generous gift of mission from the UMW to this humble unit of women at that amazing Assembly gathering in Kansas City, Mo. In 2012, as a fairly new bishop, I was able to give back to the UMW by writing the book study for their Mission u topic, The Church and People with Disabilities. It gave me a chance to write from my passion for ministry among people with disabilities. I hoped to teach the church how to provide access to and empower such people, and thus learn that disability does not mean inability. As I plan to attend the May 17-20, 2018 UMW Assembly in Columbus, Ohio I can only wonder who will be inspired next to be a bishop, or a pastor, or a missionary, or a servant who will lead the church into the future? 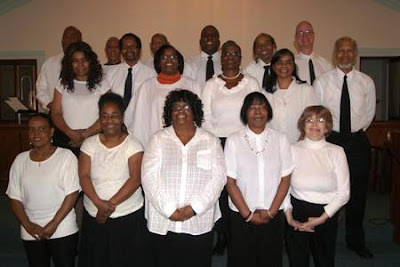 We celebrate our own Barbara Drake, who will be consecrated a Deaconess at this event. No doubt, others will follow in her footsteps in the years to come because of her servant leadership model. Mission inspires mission; and constantly, women lead women into higher forms of mission and ministry around the world. As they celebrate 150 years of ministry, the UMW has a bright future of empowerment through mission and loving hearts. These women continue to inspire me with their relentless call for justice for women and children and youth everywhere. They are touching lives each day and making a difference in our world and in our church.